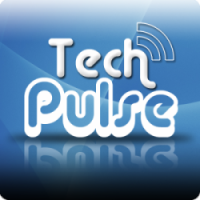 Tech Pulse Podcast: Tech Pulse 20070718: New "Mac Worm," Connect to Your PC or Mac for Free, Batch Image Resizers, TextWrangler, and more! Tech Pulse 20070718: New "Mac Worm," Connect to Your PC or Mac for Free, Batch Image Resizers, TextWrangler, and more! Josh and Big-O discuss the alleged new "Mac worm" and Mac security in general, how to remotely connect to your PC or Mac for free using VNC, batch photo resizing freeware apps for Windows and Mac, TextWrangler, and more! We have a regular recording schedule for the time being! You can listen LIVE on Wednesdays* at 8 PM Pacific / 11 PM Eastern (except July 25th). Just look for us on talkshoe.com during the hours when we're recording. *UPDATE, 1 August 2007: We've decided to change our regular podcast schedule to Thursday nights instead. If you're really paranoid but you need to use a shared or public network, go to Apple menu, System Preferences, Sharing (then if desired, take note of your settings under the Services and Firewall tabs so you can restore them later). Uncheck everything under the Services and Firewall tabs, and under the Firewall tab make sure it says "Firewall On"
Why pay for commercial software when you can do it for free? Tech Pulse 20070703: iPhone Hands-on Review!